Disney World is always an amazing experience and the most crucial part of that are the attractions (yes, even if you’re a huge Disney Dining fan like myself). We all have our own favorite rides and shows, the rides we run to when the rope drops, and even the stuff we tend to avoid. 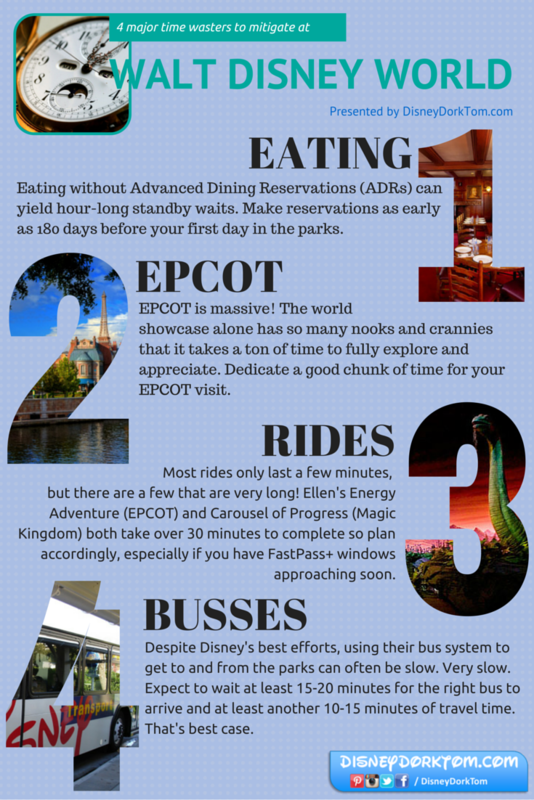 I’m always a fan of trying to make things even better than they already are, so here are five tips I’ve come up with enhance some of my favorite Disney World rides. Ok, I admit, this one is a bit tricky and to be honest it’s always a bit of a dice roll. But, there have been a few times where I’ve timed Jungle Cruise perfectly during the fireworks display. Can you see the entire fireworks display for the entire ride? No. But, when you can see the fireworks up in the sky while you sail around on the Jungle Cruise, it’s pretty cool, and gives the attraction kind of a whole new feel. This summer there has been a lot of announcements about things closing (and opening) at Walt Disney World in Orlando. The Maelstrom / Frozen announcement probably got the most press (and biggest opinions). American Idol Experience closing didn’t get too much buzz and I am actually still confused if Indiana Jones Stunt Spectacular is actually closing or not [readers?]. Another ride on the chopping block, and in fact, set to close it’s doors forever tomorrow (Saturday, Sep 27th) is the Studio Backlot Tour at Hollywood Studios. Rip and Replace Maelstrom for Frozen? Update: As of October 6th, 2014, Maelstrom is officially closed until it re-opens as the Frozen ride in 2016. No doubt you’ve heard the news today that Maelstrom is going to be replaced with a Frozen ride. The potentially good news is that Disney used the word “replace” instead of something like “enhance” and the ride will not reopen for at least another 18 months. That means that hopefully we’ll get a major overhaul to house Frozen, instead of the pretty lame enhancement to Pirates, for example, where they just stuck Captain Jack Sparrow in a few random places. At least the Big Thunder Mountain Railroad refurbishment in Disneyland had a lot of pizazz, so hopefully this will the minimum bar set for Maelstrom.